Who says you have to spend the entire day in the kitchen if you want a special meal? I started making these at quarter past twelve... and at 1:30 they were on the table! 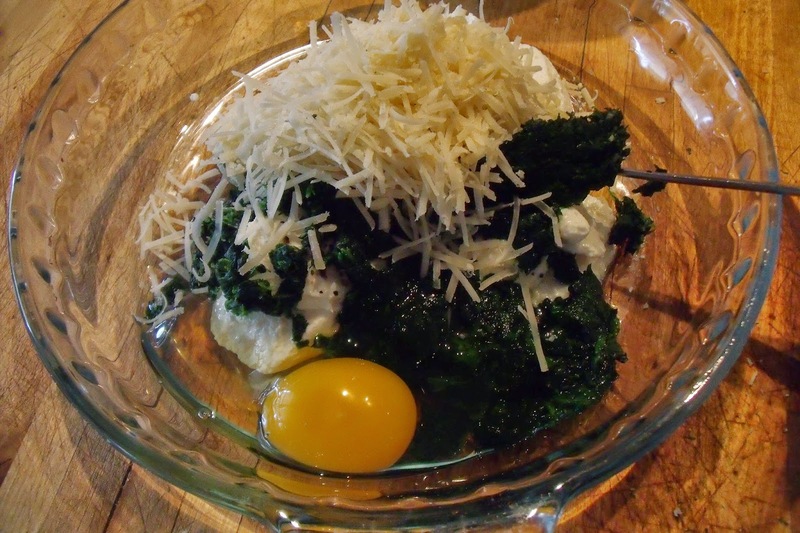 Sift flower into bowl, add eggs and beat with a fork until smooth. Don't worry if there are few little lumps, they will disappear when you make the crepes. Add the water and continue beating. We are looking for a batter the consistency of heavy cream. 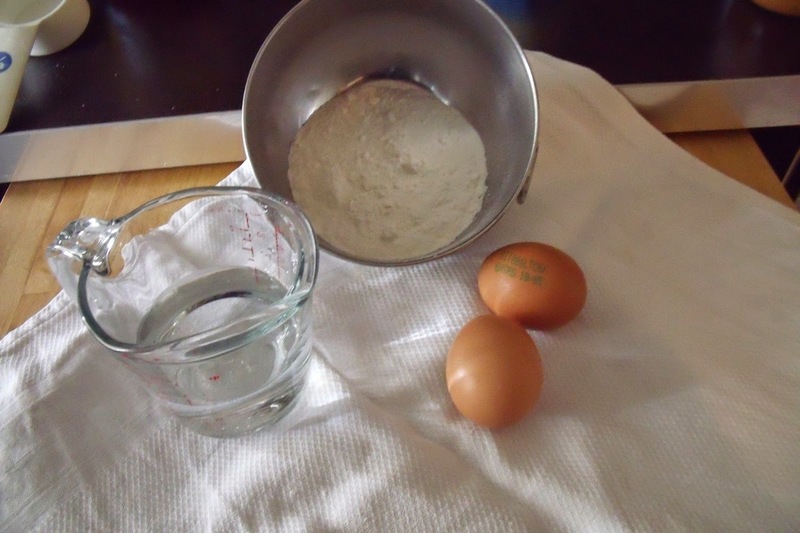 Set the batter aside to rest for about 10 minutes. 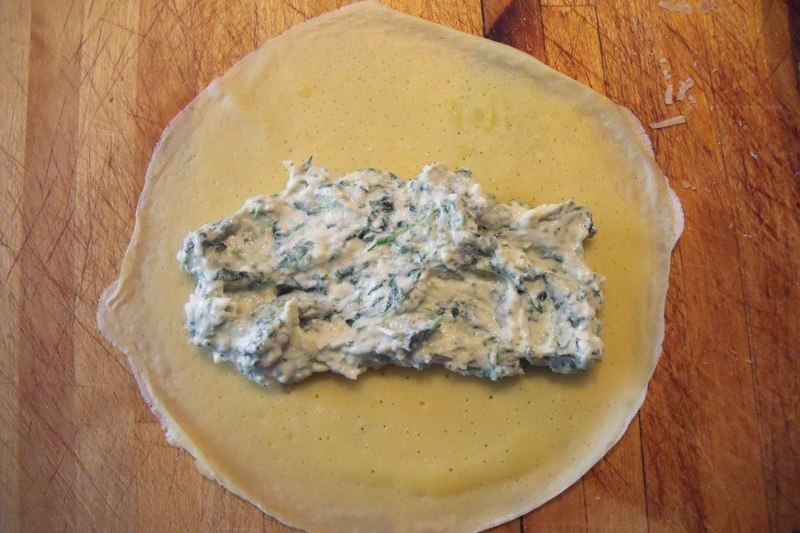 In the meantime, make the filling for the crepes. 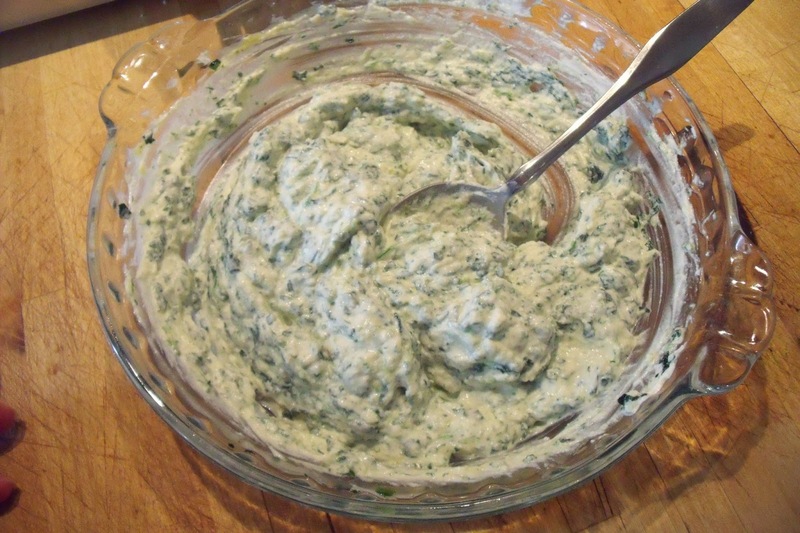 1/2 cup chopped spinach, make sure you squeeze out all of the excess water. This is what your filling will look like, more or less. You can add more spinach if you like or you can eliminate it all together and add some chopped parsley for flavor, instead. 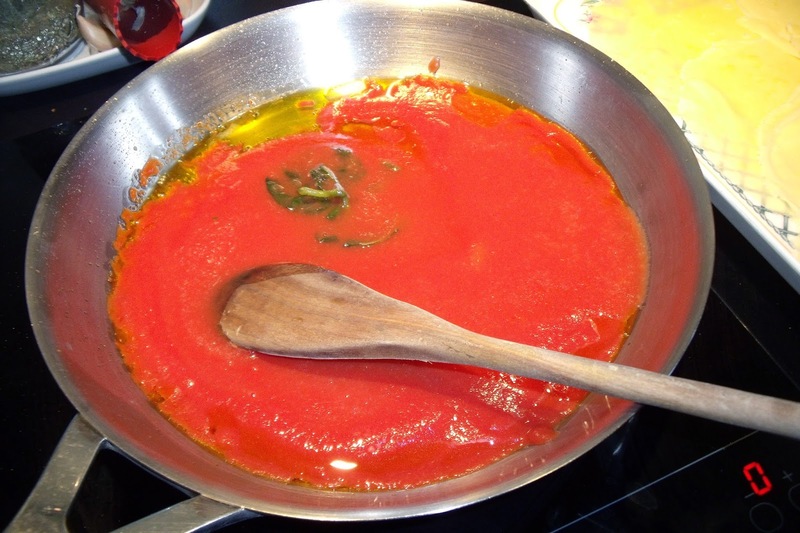 I used about 1 cup of tomato puree, 1 clove of garlic, crushed, a few basil leaves, a pinch of salt. Saute the garlic in about 2 T of extra virgin olive oil, before the garlic browns, add the tomato puree, basil and salt. Bring to a boil. Lower heat to simmer and leave it to cook, stirring occasionally. Ok, time to make the crepes. You will need a small non-stick omelette pan. Pour in about a tsp of oil, heat well. 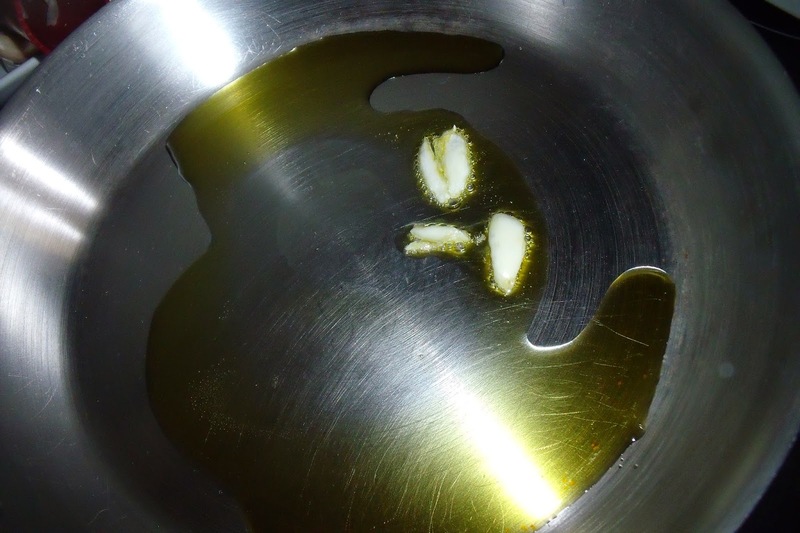 As the pan heats, use a paper towel to spread the oil over the bottom and sides of the pan. The pan is hot enough when you sprinkle a few drops of water into the pan and they crackle and disappear. When you are making crepes in an omelette pan the trick is all in your wrist. 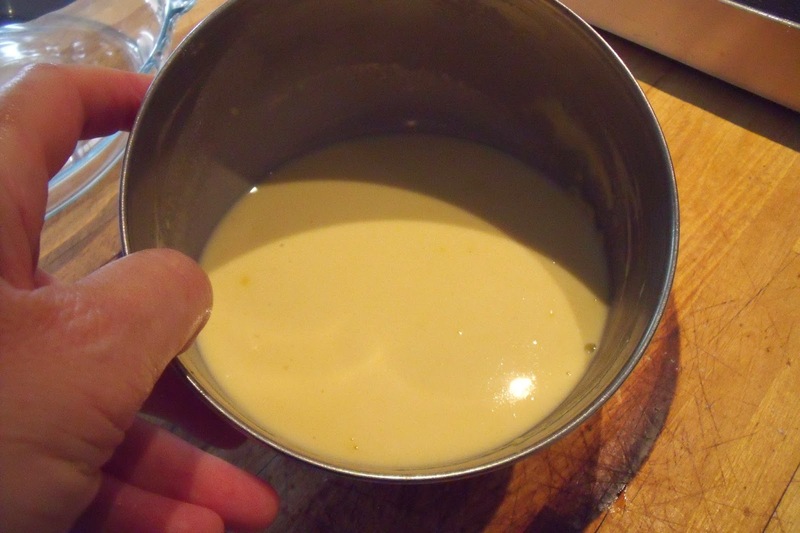 Lift the pan off the burner and pour in about 2 T of batter, quickly rotate the pan (this is where the wrist movement comes in) so that the batter quickly covers the bottom of the pan. We do not want the crepe to brown, so watch it carefully. 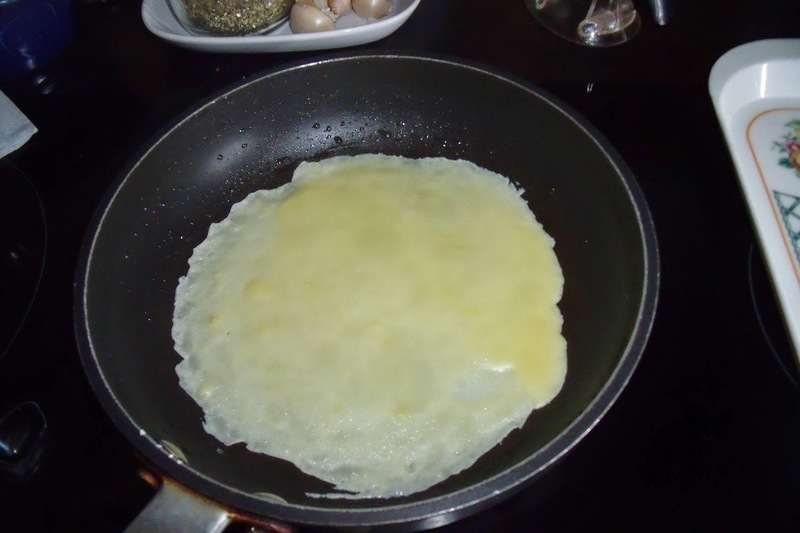 As soon as the top is no longer "shiny" - lift one edge of the crepe with a butter knife, carefully use your fingertips to pick it up and turn it over. 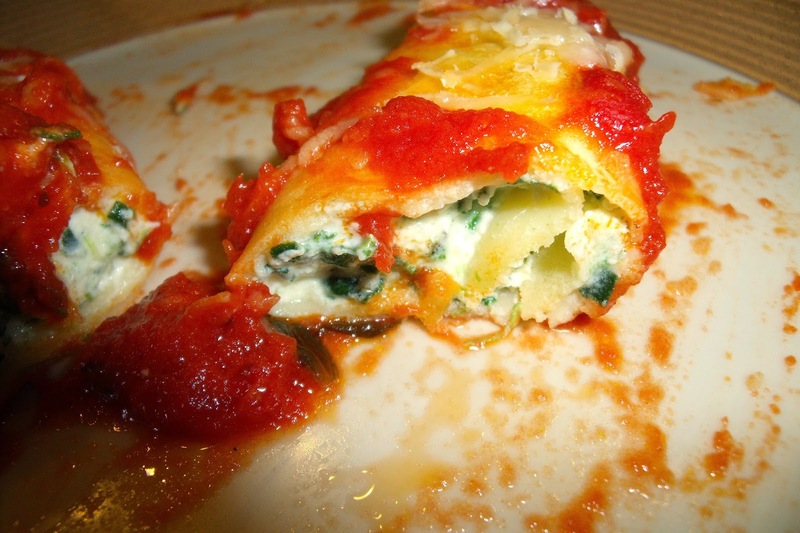 Cook it for about 5 seconds on the other side, and remove it from the pan. 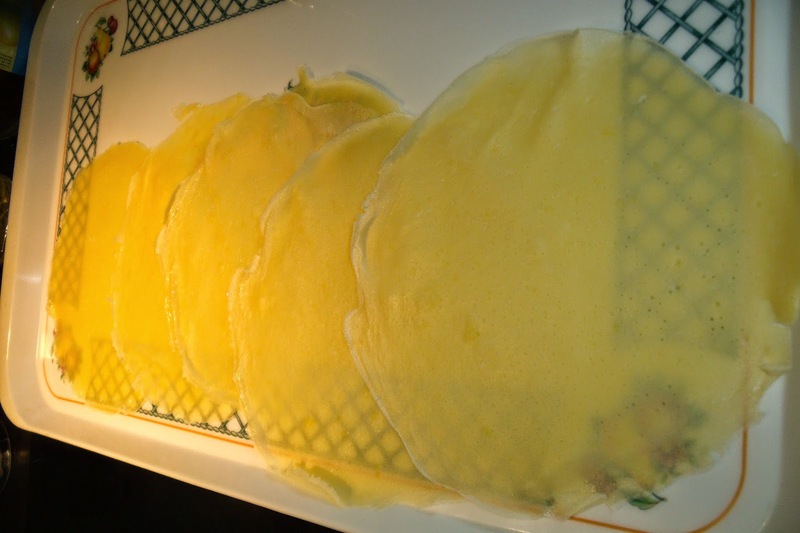 The Crepes should be pretty thin and transparent. After you make the first one, if it is too thick, add about a tablespoon of water to the batter, mix in and continue making the crepes. I get about 12 crepes about 6-7 inches in diameter with this amount of batter. 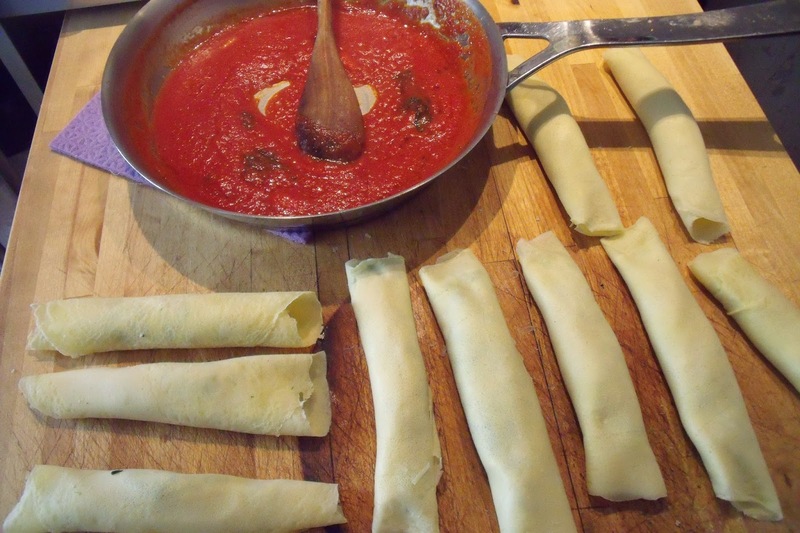 You can overlap them on a tray as you make them. 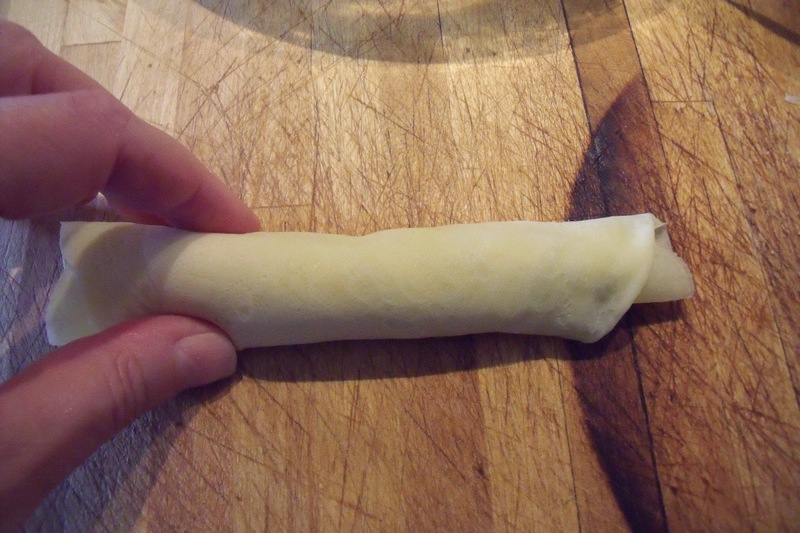 Visually divide your filling in to enough portions to fill all of your crepes. You should be able to use one heaping tablespoon for each crepe. 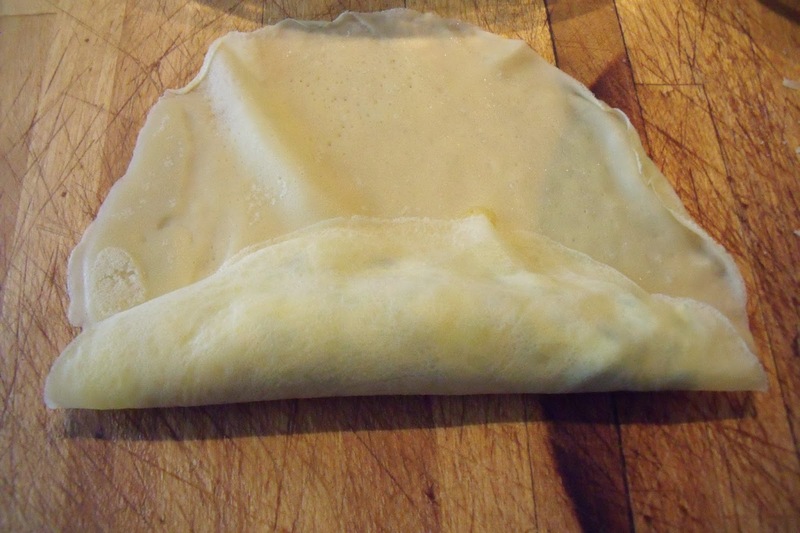 Lay the first crepe on your work surface, spread about 1 T of filling across the middle of the crepe. When you have filled and rolled all of the crepes. 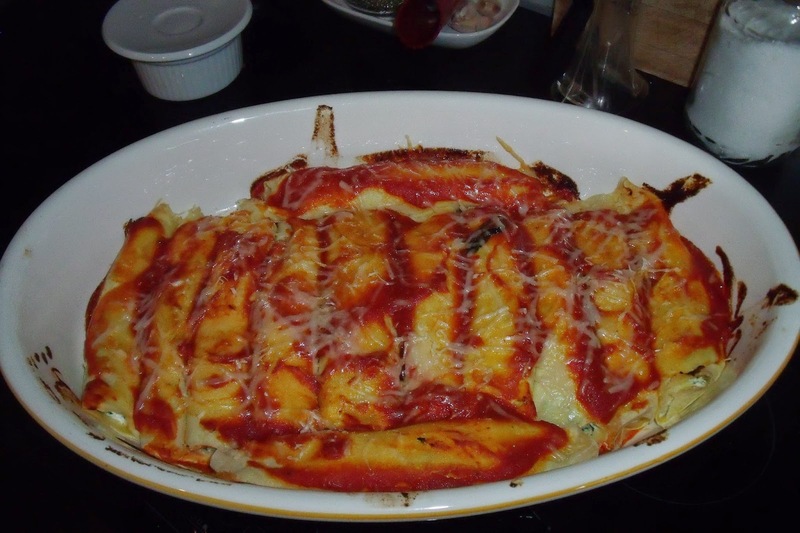 Spread about half of the sauce in the bottom of a baking dish and then lay the crepes in the dish, in a single layer. 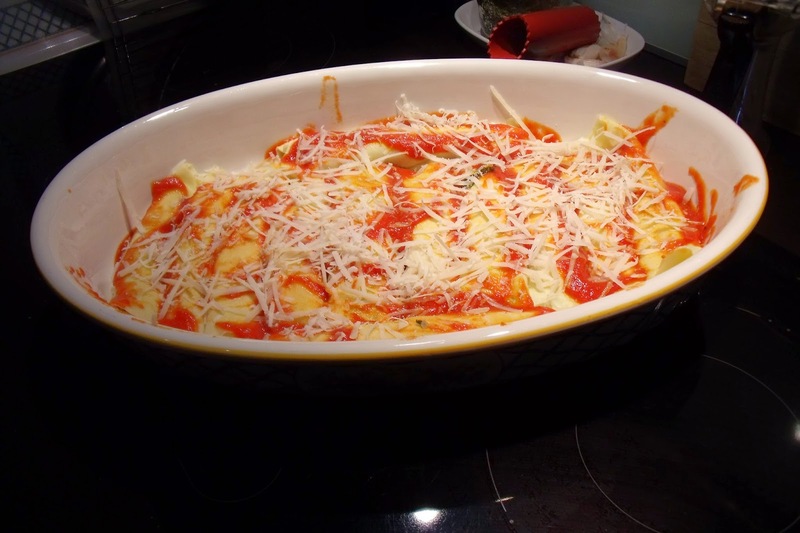 Spread the remaining sauce on top and add top with a generous handful of grated Parmigiano cheese. Bake in a pre-heated oven (375°F - 400°F) for about 20 minutes. Serve and enjoy the compliments! !